Here we are again…time for another recipe, courtesy of the Secret Recipe Club! My assignment this month was The Saturday Evening Pot, a blog that I wasn’t familiar with until now. 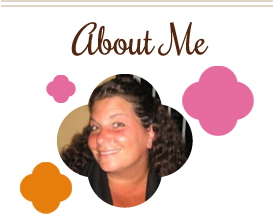 This is no ordinary food blog – they’ve got a lot of different sections including coupons and other food related items. Check it out when you can! We’ve been grilling a lot this summer, but there have been some night lately where the temp has dropped enough to use the oven without it being uncomfortable. It’s a good thing this recipe can be adapted for both cooking methods, because the night I planned on making it, it started pouring outside! So, into the oven they went…and they were a big hit. These packets are so versatile, and a great way to use up what you have in your fridge, or what’s growing like crazy in your garden. As long as everything is cut pretty much the same size, it’ll cook beautifully. Hope you enjoy this month’s SRC recipes! Preheat oven to 350 degrees. Place chopped vegetables in a bowl and add Worcestershire sauce, salt and pepper. Toss gently to evenly coat. Rip two pieces of foil, around 12 inches long, and place on counter. Divide veggie mixture in half and place in the middle of each piece. Season a bit more, if desired. 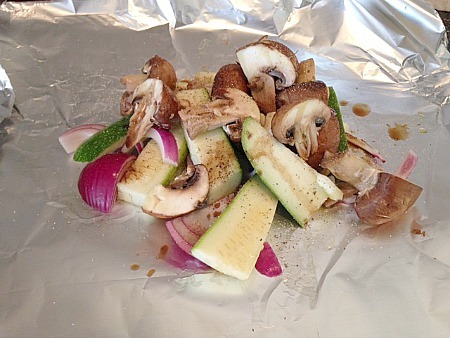 Gather edges of foil above the veggies and pinch together to form a loose packet. Bake for 30 minutes until tender. You can also cook these on the grill over indirect heat until tender. This entry was posted in grilling, low carb, make ahead, mushrooms, Secret Recipe Club, squash, zucchini. Bookmark the permalink. That looks like my kind of camp food. such a simple but perfect idea! simple vegetarian camping food – love it! I love cooking in little foil packets. Cooks wonderfully and clean up is a breeze. These veggies sounds fantastic! I love camper packets and there is a stand on my way home from work that sells zucchini. I’ll have to grab the stuff to make these ASAP. Great SRC choice! LOVE what you did with these! It has been a long time since we’ve had these. I have a food sensitivity and cannot have too many of certain foods, including zucchini but you’ve got me craving these now! !